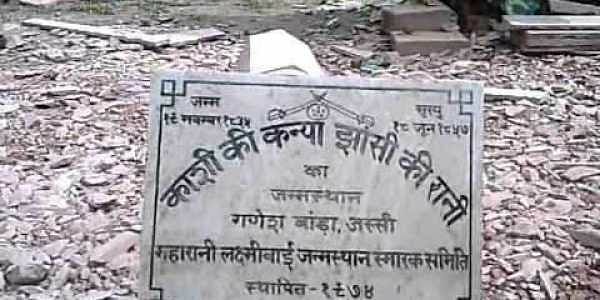 The birth memorial of Rani of Jhansi, Laxmi Bai, was lying neglected, in Uttar Pradesh's Varanasi on her birth anniversary on Sunday. VARANASI: The birth memorial of Rani of Jhansi, Laxmi Bai, was lying neglected, in Uttar Pradesh's Varanasi on her birth anniversary on Sunday. The memorial was also lying in the dark as the electricity connection had been cut for a week now. The electricity department claimed that the connection was illegal and hence it was cut. Some activists said that they had appealed to the Commissioner, the District Magistrate and the municipal body but got no response. Meanwhile, caretaker of the memorial said, "Since this memorial comes under Municipal Corporation, we reached out to the concerned authorities but no one responded." The memorial was commissioned by the Uttar Pradesh Tourism Department before being handed over to the municipal body. Laxmi Bai, one of the leading figures of the Indian Rebellion of 1857, was born on November 19, 1828.